Please note that the content of this book primarily consists of articles available from Wikipedia or other free sources online. 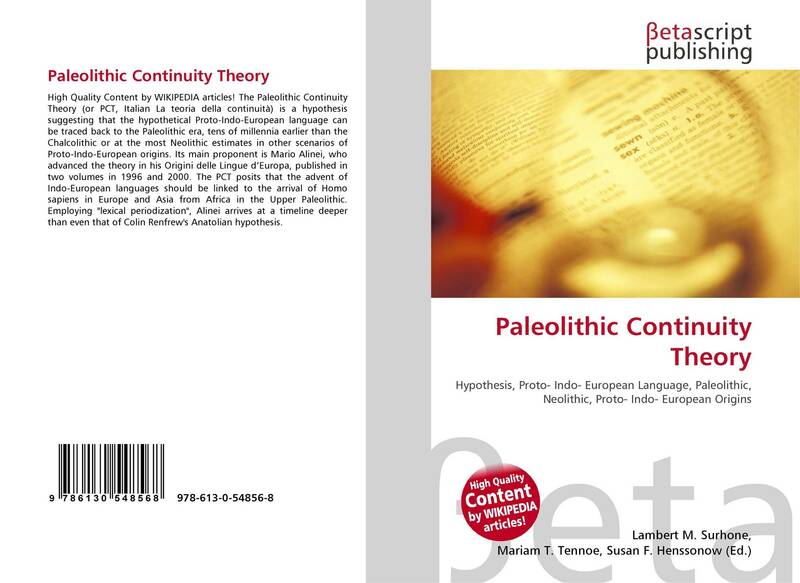 The Paleolithic Continuity Theory (or PCT, Italian La teoria della continuità) is a hypothesis suggesting that the hypothetical Proto-Indo-European language can be traced back to the Paleolithic era, tens of millennia earlier than the Chalcolithic or at the most Neolithic estimates in other scenarios of Proto-Indo-European origins. Its main proponent is Mario Alinei, who advanced the theory in his Origini delle Lingue d'Europa, published in two volumes in 1996 and 2000. 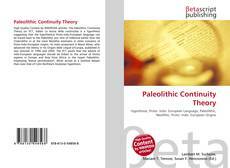 The PCT posits that the advent of Indo-European languages should be linked to the arrival of Homo sapiens in Europe and Asia from Africa in the Upper Paleolithic. Employing "lexical periodization", Alinei arrives at a timeline deeper than even that of Colin Renfrew's Anatolian hypothesis.